Google hardware SVP Rick Osterloh has announced that Nest, maker of the popular Nest Thermostat, is rejoining Google in a bid to better compete with the likes of Apple and Amazon. Current Nest CEO Marwan Fawaz will report directly to Osterloh and further consolidates Google's hardware platforms. According to the announcement, "The goal is to supercharge Nest’s mission: to create a more thoughtful home, one that takes care of the people inside it and the world around it. By working together, we’ll continue to combine hardware, software and services to create a home that’s safer, friendlier to the environment, smarter and even helps you save money—built with Google’s artificial intelligence and the Assistant at the core." Google purchased Nest in 2014 and initially only sold the Nest Thermostat. Since then, Nest struggled to become profitable under former CEO Tony Fadell despite the "unlimited budget" that parent company Alphabet supposedly gave it. Fadell left Nest in 2016 which by that time had acquired Dropcam. 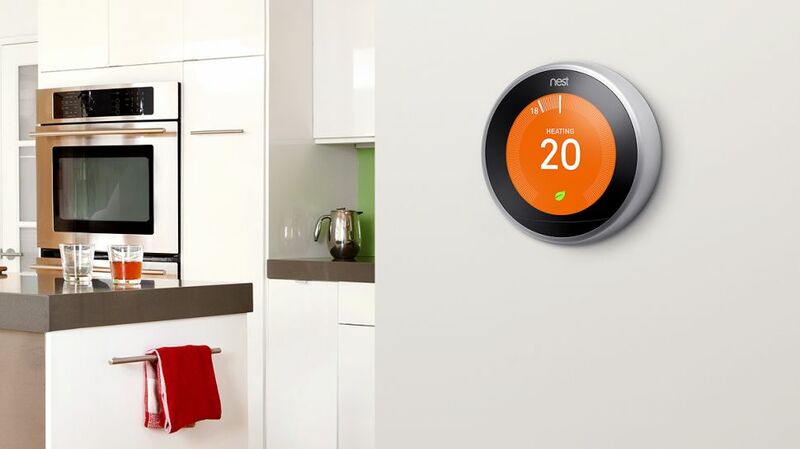 After Marvan Fawaz took over as CEO, Nest began churning out new (albeit expensive) products in the smart home space. The Nest Cam IQ started at $300 while the comprehensive home security suite, Nest Secure, cost $500 just for the starter pack alone. That's not including the monthly $10 subscription fee for basic service with each additional camera incurring more fees. However, Nest did attempt to appeal to more budget-minded consumers with the plastic Nest Thermostat E.
If anything, this move seems to be a natural evolution of Google moving towards "Apple-like" vertical integration while incorporating Google's strengths in artificial intelligence and machine learning. Google and Nest had previously combined their supply chain teams back in 2016. In an interview with CNET, Osterloh stated that "All of Google's investments in machine learning and AI, they can very clearly benefit Nest products. It just makes sense to be developing them together." Through aggressive marketing, low-cost Echo devices, and sticking Alexa into basically everything, Amazon's Alexa digital assistant has become almost the de-facto assistant in many smart home appliances. Apple just released its HomePod smart speaker and while it is expensive, it provides seamless integration for people already locked into Apple's ecosystem. That said, Google has made inroads with its Google Home speakers including price matching its Google Home Mini with Amazon's Echo Dot, making it practically an impulse buy. Google still leads the market in artificial intelligence and this convergence of hardware and smart home technology coupled with machine learning and AI will help Google compete in a still burgeoning smart home market.